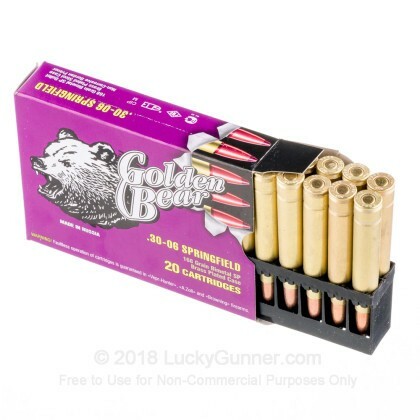 Golden Bear's steel cased ammo features a brass-plating which improves feeding and reduces the possibility for corrosion. 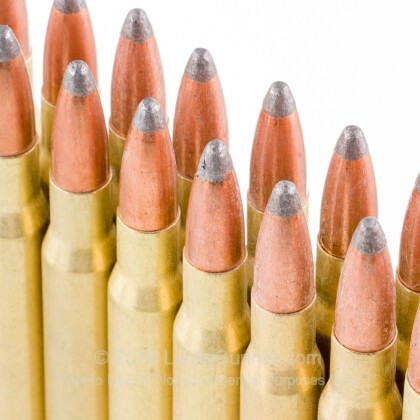 This ammo is great for cost effective range training, hunting, and target practice. 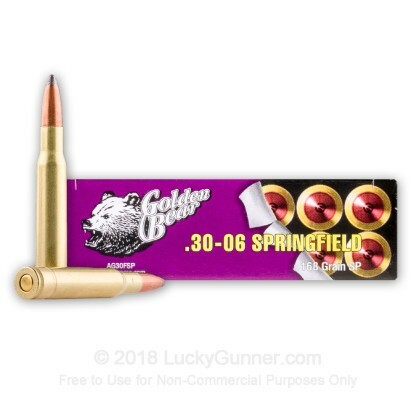 This ammo is loaded with a soft point bullet designed to expand on impact creating a larger wound channel to quickly bring down game on your next hunt. 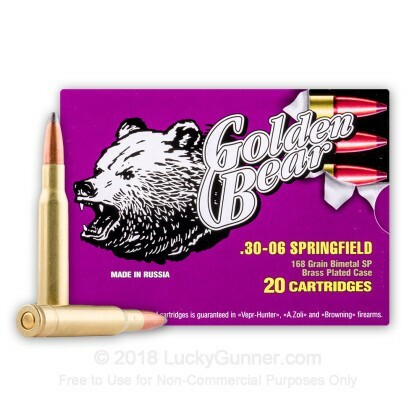 Golden Bear ammo is manufactured in Russia at the Barnaul plant. 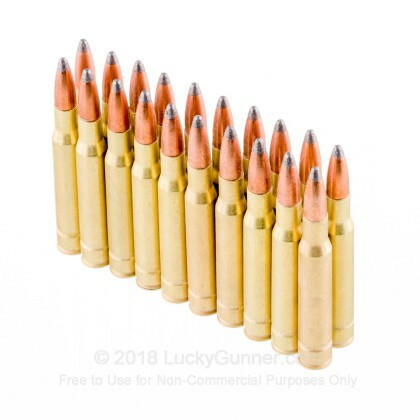 This ammo features a brass-plated steel case which is berdan-primed, non-reloadable, and non-corrosive. bought (2) 30-06 rifles at a estate sale. 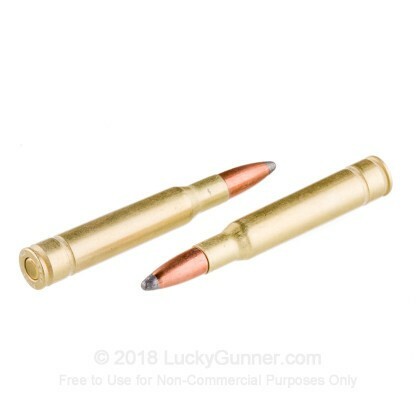 needed inexpensive ammo to try them out. worked fine but didn't do any real tests for accuracy.